The effects of alcohol withdrawal could be deadly– Don’t leave them untreated! Alcohol withdrawal makes it difficult to quit drinking and can prolong an addiction causing even more troubles for the addict. The symptoms that occur when an alcoholic makes the honest attempt to quit drinking can be difficult to cope with both physically and mentally. Unfortunately, the effects of alcohol withdrawal are the primary reason for an addict to continue drinking and they’re the primary reason for the need for recovery—they can be difficult to live with, difficult to overcome and deadly to leave untreated. 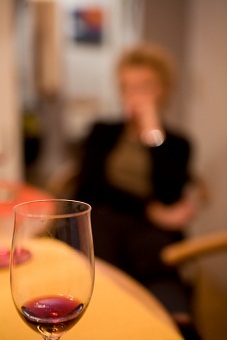 Not everyone who decides to quit drinking will suffer from withdrawal symptoms. In fact, some people can have some drinks occasionally and never really feel the wrath of withdrawal but for some, occasional drinking turns into regular drinking and as time goes on, the drinking progresses into a serious problem with equally serious consequences. Drinking heavily for a prolonged period of time can lead to chemical changes within the brain and throughout the body. It’s these changes and the way that the body reacts to alcohol or to not having alcohol that make withdrawal such a challenge to cope with. There is no way to predict how alcohol withdrawal will effect you even if you’ve tried to detox before or you have known someone else who has been through alcohol withdrawal in the past. Every situation is different and the way that alcohol withdrawal impacts us physically, psychologically or emotionally can be quit different from one person to the next or from one case of withdrawal to the next. You may have been through mild alcohol withdrawal in the past and then later suffer from extreme withdrawal a second time. The effects of alcohol withdrawal can be damaging to the body and to the brain. Alcohol inhibits the NMDA neuroreceptors and can result in up-regulation of these receptors. What this means is that when an individual abruptly quits drinking, there is an increased risk of brain hyperexcitability. This hyperexcitability can manifest as anxiety, irritability, agitation and tremors. In extreme cases, the hyperexcitability can manifest as seizures and delirium tremens. Studies suggest that alcohol withdrawal which takes place multiple times can lead to increased risks of dangerous symptoms. This is because the body goes through what is known as the “kindling” phenomenon with each time that it detoxifies from alcohol. Detoxing multiple times can lead to long-term changes in neurological structure and increasingly obsessive thoughts or cravings for alcohol. With each alcohol detox, the symptoms of withdrawal and the long-term effects of drinking become more severe. The spectrum of alcohol withdrawal symptoms and the amount of time that alcohol withdrawal symptoms persist will depend on various factors including how long alcohol has been a problem in your life, how much alcohol has been consumed, how often you drink, how many times you have detoxed in the past and your individual health. While the effects of alcohol withdrawal generally increase with the amount of alcohol consumed and the amount of time that drinking is a problem, many patients find that withdrawal is quit similar from one detox to the next. Alcohol withdrawal effects the body by causing various symptoms that make it difficult to cope with the persistent abstinence from alcohol consumption. It can be very difficult to continue to remain abstinent from alcohol use if you are experiencing withdrawal symptoms such as tremors, nausea and vomiting, diarrhea or extreme anxiety. Unfortunately, the only true way to recover from alcohol withdrawal is to seek professional treatment, ride out the symptoms and refrain from drinking in the future. Don’t let the damaging effects of alcohol withdrawal ruin your life permanently. There are a number of treatment options available to help you get past alcohol withdrawal safely and effectively without relapsing and turning back to drinking as a means of coping with the pain, struggles or upsets along the way. 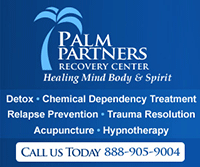 Inpatient detox or hospitalization may be necessary to help you completely overcome alcohol withdrawal without danger of serious medical side effects such as brain damage or the potential for death. Call our helpline to talk to a treatment professional about the types of treatment available to help you overcome alcohol withdrawal symptoms. We can help you find effective treatment and care that will lead you down the clean and sober path to recovery from alcoholism.